Thanks to her work in Sicario: Day of the Soldado and Instant Family, Isabela Moner is one of cinema’s rising young stars. The 17-year-old’s popularity should rise as she plays Dora the Explorer in Dora And The Lost City of Gold. James Bobin, who directed The Muppets and Alice Through The Looking Glass, directed this highly anticipated feature. 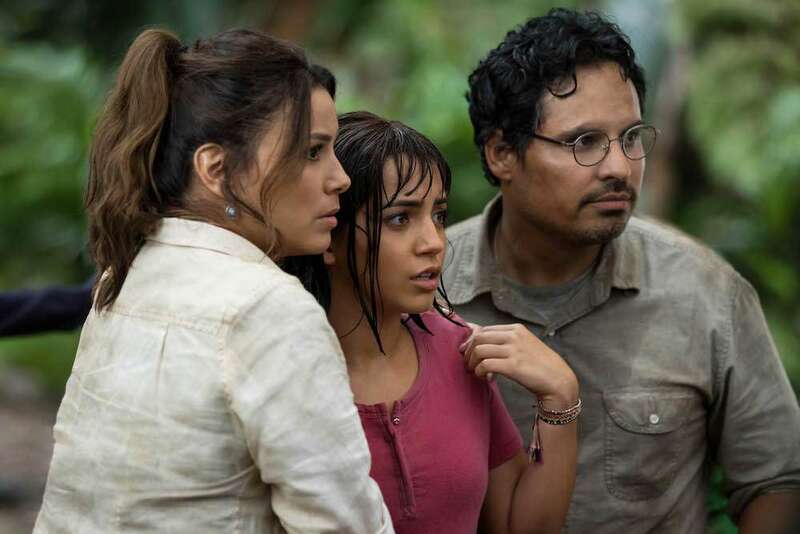 The narrative has Dora (Moner) trying to adjust to high school after a life in the jungle with her parents (Eva Longoria, Michael Peña). Eventually she and her classmates are sent back to her home grounds to rescue her folks and find the mysterious lost city of gold. Moner is the perfect casting choice for Dora, and having Eugenio Derbez around to provide comic relief is also a plus. Check out the trailer and tell us what you think! Dora And The Lost City of Gold opens nationwide August 2.